While it may not feel like it, Spring is officially here as far as the calender is concerned. Time to start thinking about spring cleaning and clearing out all the clutter that built up throughout the winter months. If you’re like most families with children, chances are, a large bit of that clutter comes from your kids’ stuff! With the right spring cleaning tools, you can reduce kid clutter and reclaim some of that wasted space. Lidded bins of all sizes. Bins are one of the most essential spring cleaning tools for taming kid clutter. 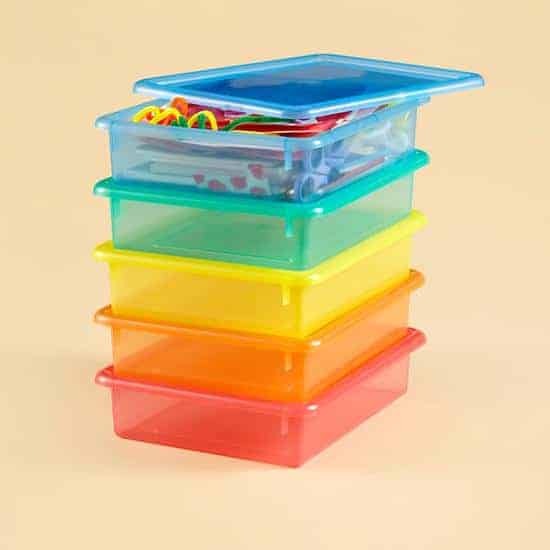 Grab a few bins with lids, preferably the same style so they’re easier to stack, and toss toys, stuffed animals, and other kid items into them. 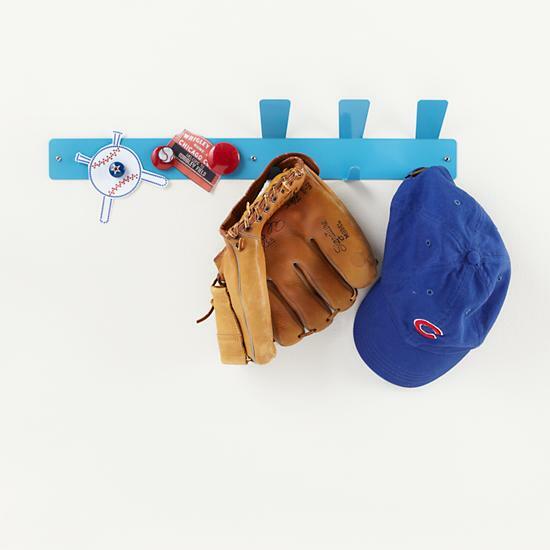 Stack them in a corner of the playroom, kid’s rooms, or garage. Just be sure to label them so you know what’s in each bin, otherwise you’ll have a disaster on your hands when your children toss everything out looking for that one small item that they suddenly can’t live without. 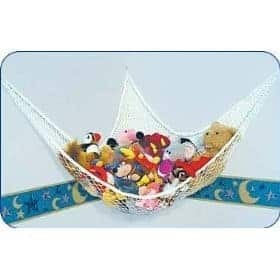 Stuffed animal hammock. The average kid has like 100 stuffed animals. Yes, I made that statistic up, but it’s based on experience! Seriously, kids have a lot of cuddly friends, and they’re not exactly too inclined to give any of them up. After all, each one is their “absolute favorite!” Tame the plush clutter with a cool stuffed animal hammock that you can hang in a corner. Hook Strip. Spring is a time of transition, with winter coats hanging alongside spring jackets and umbrellas. Get them all under control a Magnet Strip Hooks in a color that matches your decor. Hang one by the door to catch book bags and jackets, and another in the bedroom for other hanging items. Bookcases. Books are a vital part of any child’s educational arsenal, but they don’t do any good if they can’t be found! 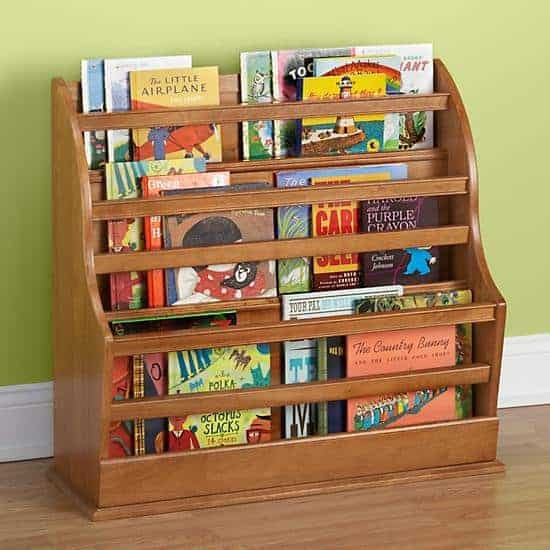 While just about any type of bookcase will do, children are more likely to read books when they can see the covers. If you have the extra money, opt for a standing book bin that allows you to face to books outward. Jewelry boxes. Don’t forget your little princess when you’re arming yourself with some spring cleaning tools! Her massive collection of jewelry may need a new home to keep it all organized. 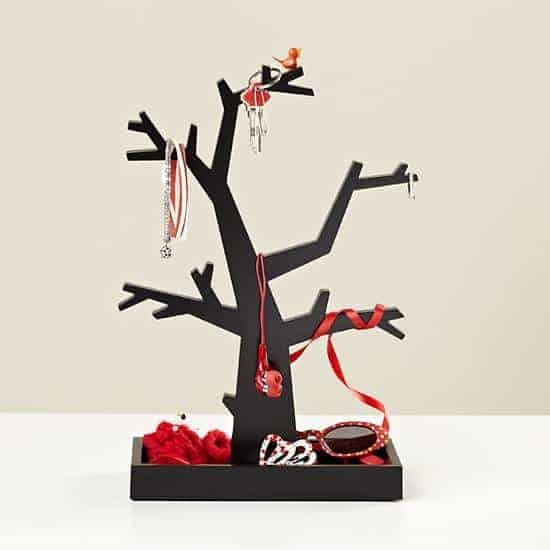 You can keep it simple with a basic yet pretty jewelry box or get fancy with a cool jewelry tree for older girls. Bath organizer. Don’t forget their bath toys when you’re gathering your spring cleaning tools! 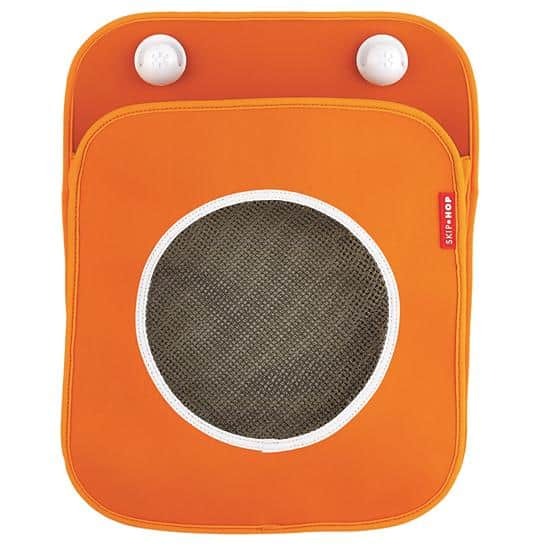 Keep them all organized and easy to find with a Tubby Bath Organizer! The simple look won’t clash with your bathroom decor, and it drains well to keep toys from getting moldy. These spring cleaning tools will help keep your children’s stuff organized in every room of the house, hopefully making next year’s spring cleaning a little less painful! 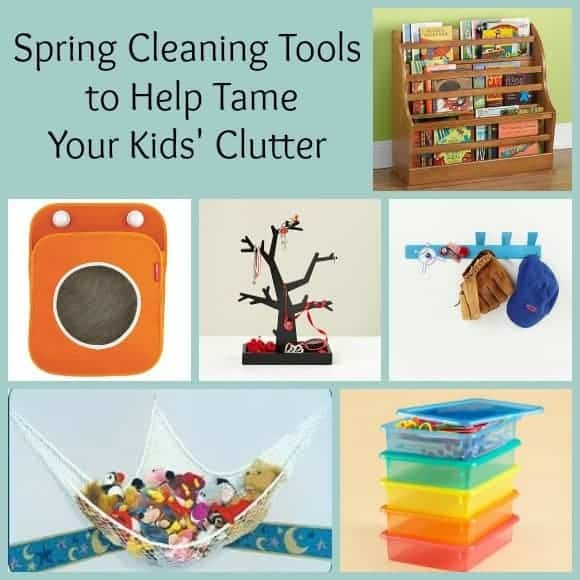 What are your favorite spring cleaning tools to help organize your child’s stuff? Disclaimer: This post contains affiliate links. This in no way influences what we write. We only share products that we feel would be beneficial to you. I could use that too, even for my mess. These are great ideas! We just got a stuffed animal hammock for our son’s room and it has made all the difference in the world!